Based out of Portland, ME, Nick Perry’s Brass Tax is a collection of diverse personalities that make divergent sonics sound unified. 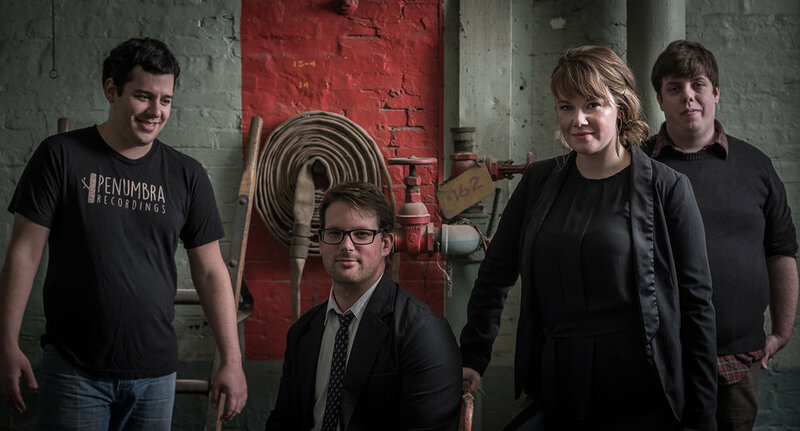 Initially brought together by guitarist Nick Perry, the group consists of Josh Keough (formerly of Subsonic and Pokelogan) on drums, Tyler Cummins (formerly of Triode) on bass, and Erin Westhoven on guitar and a dazzling array of percussion instruments. Nick Perry’s Brass Tax released their full-length debut “Revisionist History” in March of 2016. The album spent several weeks as a Bull Moose local music top seller, and was met with positive press in the Portland Phoenix and local radio play. With a fuller lineup solidified, the group has begun preparations for their second album (scheduled to be released late 2017).